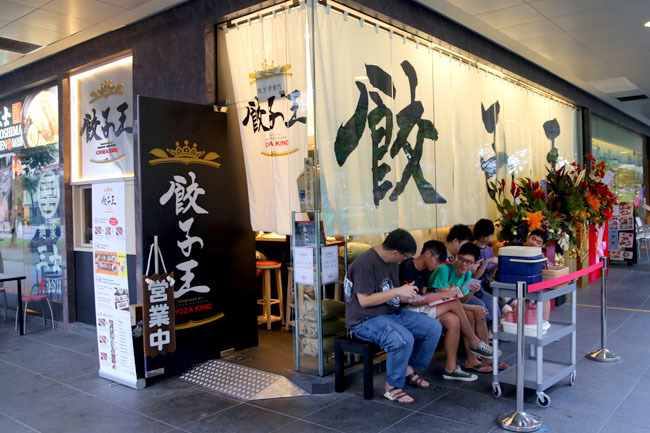 There was a slight disappointment that Keisuke’s 5th outlet in Singapore is not going to be a ramen shop. 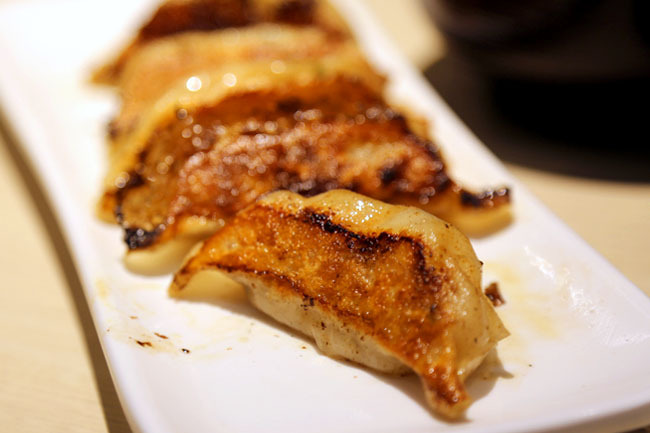 The consolation is the usual sidekick, the humble gyoza, takes centre stage at this new shop. Where else? At Orchid Hotel, a few restaurants away from Keisuke Tonkotsu King, flanked between Menya Sanji and Sushi Kou. Gyoza King’s concept is rather straight forward. 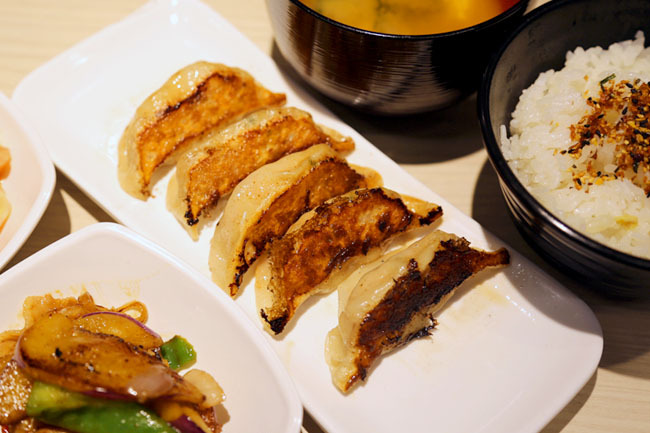 Get a Gyoza Set ($13.90) which comes served with 5 dumplings, 2 side dishes, Koshihikai rice and soup. The Gyoza ala carte ($8.00) is comparatively pricier, and it makes more economic sense to order the full set. The good news first. Keisuke’s signature beansprouts and cabbage come F.O.C at the counter seating table, and somehow they work wonderfully well with the steaming hot bowl of Japanese rice. For once, I feel I am able to gulp down an entire bowl of rice with just beansprouts. Simple pleasures. 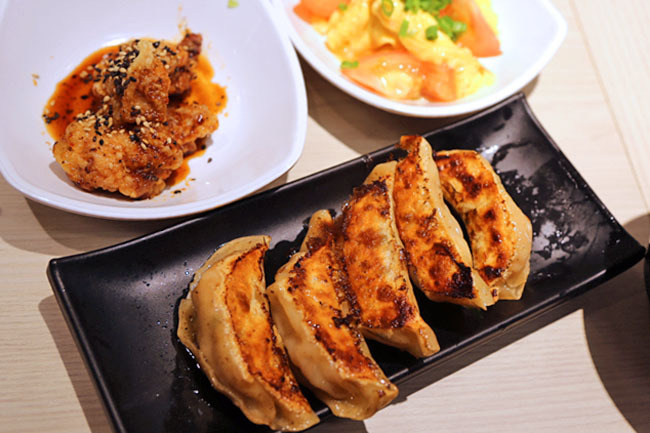 The gyoza come with 3 types of fillings – pork, chicken and prawn. All right, the description says “mixed with rich and thick Tonkotsu broth”. My dumplings did not feel it had much of those juicy broth spilling out, but it was still a delicious plate of slight crispy thin outer layer, wrapped around moist fillings of fine minced pork. 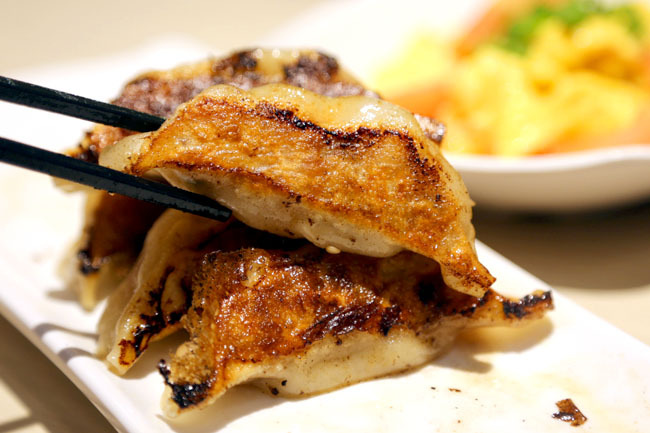 For those who fear of a ‘porky’ aftertaste, Gyoza King’s take had not much of that. The prawn version could do with whole shrimps rather than minced prawn. But it is purely personal preference. There is a sweetish bite to the gyoza, largely because they included crab stock in the meat. 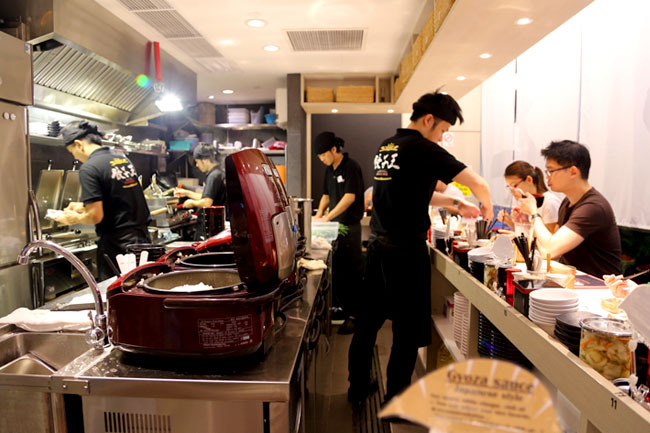 There were a variety of side dishes available such as Chicken Nanban with Tartar sauce, Stir-fried Egg with Tomatoes, Deep Fried Tofu with Minced Pork Gravy and Stir-Fried Eggplant with Miso. This feels suspiciously like Osaka Ohsho. 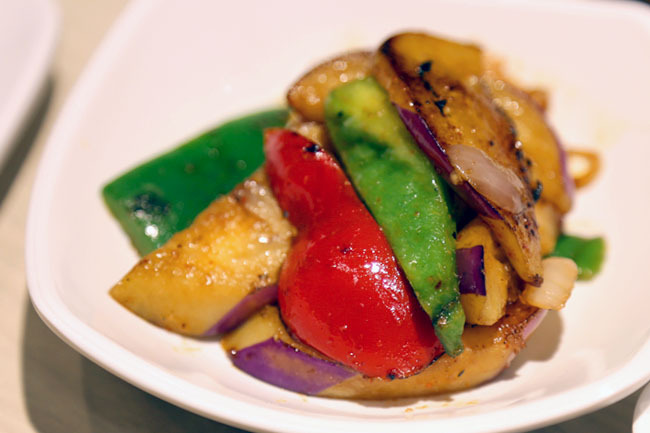 Other than the Fried Brinjal, the side dishes felt rather ordinary and mass cooked as though this is what the Japanese would serve if they would have a ‘chye peng’ stall. The 18-seater shop felt foodie-claustrophobic (a new term I coined for a foodie who needs his space while dining), and I wanted to quickly finish up my side dishes so that they would clear down off the table, to give space for me to enjoy the gyoza. That didn’t happen. The plates were still left there. Gyoza King is where the office crowd would go to get a quick yet filling lunch, provided that there is no queue. The gyoza is definitely better than average, but I wonder about going back again and again to eat the same stuff. Ramen, on the other hand, is a different story. ← 5 Best Korean Fried Chicken in Singapore. Crispy and Moist! are the chicken & prawn gyozas pure chicken/prawn with no pork/pork broth? According to the menu, the chicken is pure chicken, the prawns are mixed with pork though.